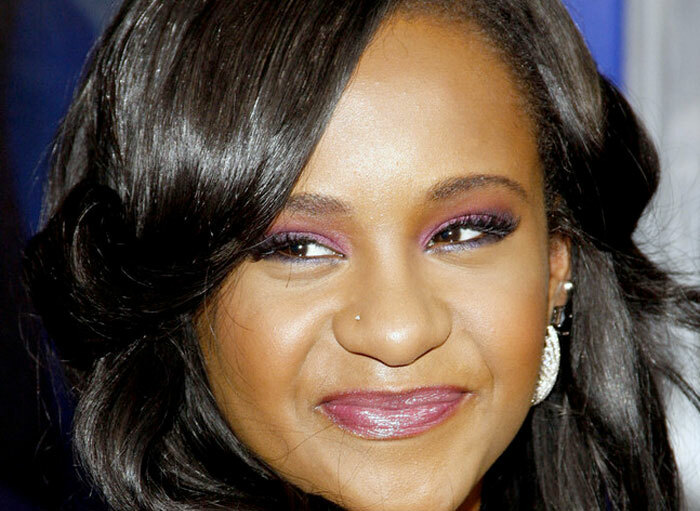 Bobbi Kristina Brown, the daughter of the late Whitney Houston, has died. She was 22. A statement released by her family read: "Bobbi Kristina Brown passed away Sunday, July, 26 2015, surrounded by her family. She is finally at peace in the arms of God. We want to again thank everyone for their tremendous amount of love and support during these last few months." Bobbi Kristina was found unconscious face down in a bathtub full of water at her home on Jan. 31 after a night of partying. She remained comatose and was moved to hospice care in June. Her boyfriend, Nick Gordon, remains under investigation for her accident/death and was slapped with a $40 million lawsuit by Bobbi Kristina's father, Bobby Brown; They allege Nick physically assaulted Bobbi Kristina and stole her inheritance. UPDATE, July 27: The Fulton County Medical Examiner’s Office, which performed an autopsy on Bobbi Kristina said their initial findings turned up no obvious cause of death. The medical examiner says it will likely be several weeks before it can rule on a manner and cause of death. The agency said its initial autopsy turned up “no significant injuries” or “previously unknown medical conditions.” It said the next step is ordering lab tests and issuing subpoenas for documents — most likely Bobbi Kristina's hospital records. Experts said the months that have passed since Bobbi Kristina was found face-down in a bathtub are working against authorities now tasked with solving how she died. Any drugs she might have taken passed from her bloodstream long ago. Physical injuries would have been healing even as she remained largely unresponsive. If police overlooked any physical evidence at Bobbi Kristina's home after she was hospitalized Jan. 31, recovering it nearly six months later may be impossible. Dr. Michael Baden, former medical examiner for New York City, has performed more than 20,000 autopsies during a career spanning more than 45 years. He said the first obstacle for forensic pathologists in Brown’s case will be a living body’s ability to mend itself and erase medical evidence. “Normally, when we do autopsies, we do them in people who freshly died. Things like toxicology and injuries are clear,” said Baden, who helped investigate high-profile cases including the deaths of comedian John Belushi and civil rights worker Medgar Evers. “Because she was in the hospital for a long time, any drugs that may have been in the body will be gone after a few days. Injuries, if there were any injuries, would be changed by the length of time, the healing process.” Baden said it’s highly possible doctors screened Bobbi Kristina's blood for drugs as soon as she was admitted to the hospital. Her medical charts may also note any physical injuries observed by doctors who first treated her. The initial report by emergency medical technicians who first responded to her home could also yield critical clues, he said.